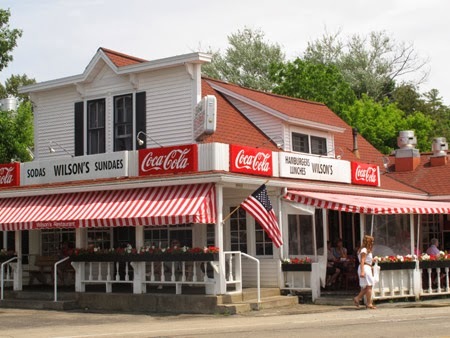 Wilson's Restaurant and Ice Cream Parlor is a Door County tradition. I’m slurping the most delicious root beer float at Wilson’s Restaurant and Ice Cream Parlor. Home-brewed draft root beer makes the difference at this Door County,Wisconsin, old-fashioned soda shop. 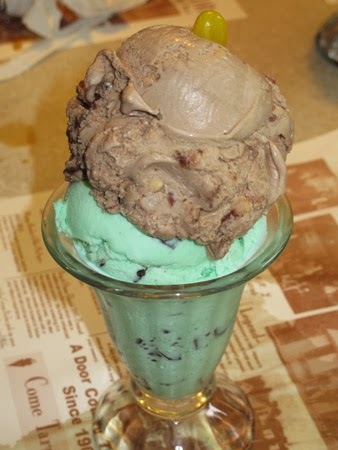 For more the 107 years, Wilson’s has been serving dozens of ice cream varieties, extra thick malts and shakes, and super sundaes made from local Wisconsin ingredients. My mouth is watering just thinking about a dish of Mocha Almond Fudge, Caramel Collision, Peppermint Stick, or Chocolate Peanut Butter Explosion ice cream. 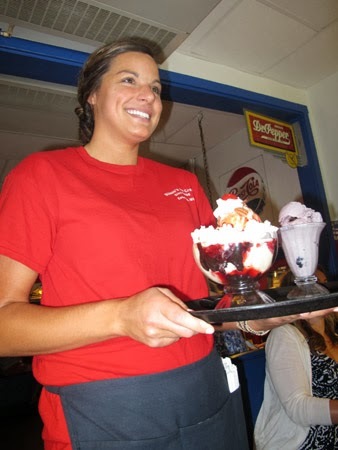 For those with really big appetites, (or a friend to share the concoction with), the specialty called Wilson’s Banquet serves up five flavors of ice cream and three toppings of your choice, topped with loads of whipped cream, cherries, and pecans. Located in the center of Ephraim, Wilson’s is one mile from Scenic Peninsula Sate Park, a well-known vacation destination. It is a landmark that has earned its reputation for fine comfort food served in a friendly atmosphere. Even more, it’s a trip down memory lane for those who remember such establishments and a wonderful experience for those who are just discovering them. Long-time visitors now bring children and grandchildren to experience offerings like flame-broiled burgers, Reuben sandwiches, nachos supreme, homemade tomato vegetable soup with basil, and much more that have made the restaurant a first stop when they return. Seated in a comfortable booth, we tarry awhile, savoring our burgers and ice cream—and listening to old 45s on the original jukebox. It’s another way the restaurant invokes memories of an earlier time. Meanwhile, dozens of visitors simply stop to get a flavorful ice cream cone to lick as they meander along the shores of Lake Michigan, just across the street. Artists frequently come to paint this iconic building. 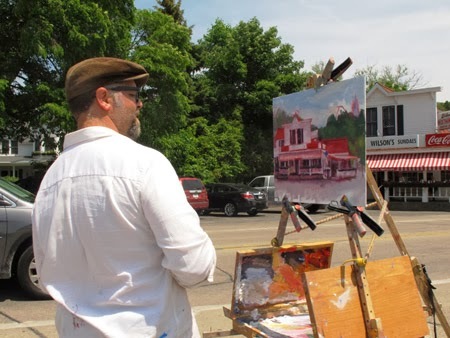 Outside, we watch an artist painting the iconic building on his canvas, with its easily recognizable red and white striped canopy. It reminds me of the cherries for which Door County is known, although that probably didn’t have anything to do with choosing the decorative scheme in the beginning. Now the canopy provides shade for guests sitting on the covered porch enjoying people watching and the scenery. Just being here means we are taking part in a century-old Door County tradition.